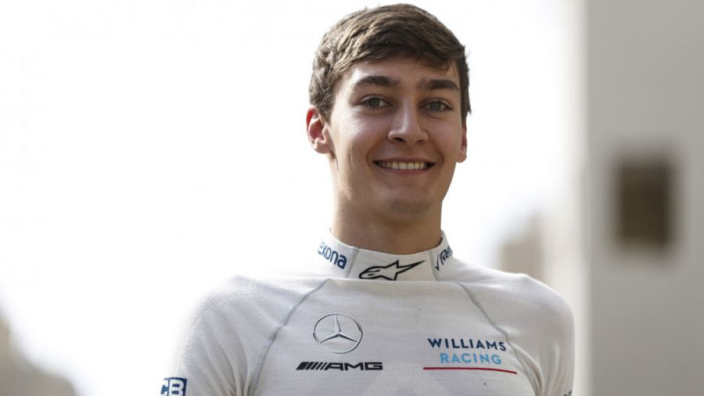 The Formula 1 season concluded on Sunday after the Abu Dhabi Grand Prix, but Pirelli testing got underway on Tuesday morning which allowed George Russell his first opportunity to get an outing in the car of his new team, Williams, which he described as "very positive". A few weeks ago it was announced that Russell would be promoted from Formula 2 to F1 for the 2019 season, taking a seat with Williams to replace the departing Lance Stroll, with Robert Kubica subsequently confirmed as his team-mate. The testing of the Pirelli tyres at Yas Marina allowed the Brit to get behind the wheel for Williams for the first time, and he is pleased with how it went. “My feeling was very positive to be honest,” Russell said. “After the first two runs, I had some issues with the balance and I wanted to change and play around with, but once we sorted that I was very confident in the car. “I had a good feeling to keep on pushing forward and explore the limit, and I think as a driver, that’s really important to have that confidence in the car. Once we got the setup right, I had it." Russell has previously driven in the 2018 F1 cars of Force India and Mercedes, but believes it is hard to make the comparison to Williams as every car is different. However, he remains keen on providing as much feedback as possible in order to see improvements made. A great first morning with @WilliamsRacing, felt amazing to be behind the wheel for this fantastic team ???? “I think Robert [Kubica] will have more feedback when he jumps in the car this afternoon. “I have more input to give what I would like for next season, whereas before with Mercedes or Force India, we were there to do exact test items and get the most out for the team. “This is a bit of both, and it’s really good for me to understand just little things like the seat, the steering wheel, just to see how I like it and anything I want to change,"
Russell is fresh off a Formula 2 championship victory, following in the footsteps of his new colleagues Lewis Hamilton, Charles Leclerc, Pierre Gasly, Romain Grosjean, and Nico Hulkenberg.